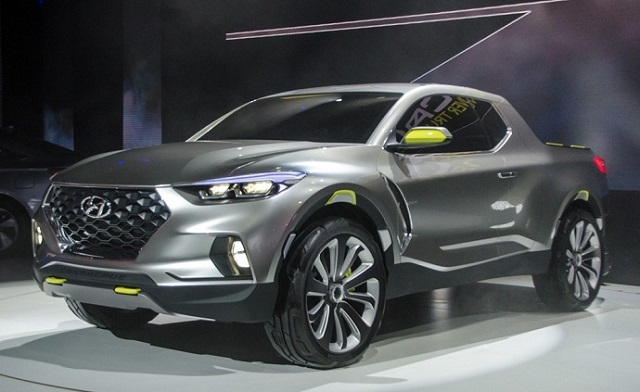 When Hyundai showed the crossover-based truck concept at the 2015 Detroit Auto Show, everybody was asking about the possibility of the production version. In late 2016, Hyundai given the green light to the model and the new uni-body design truck was expected to enter the production in 2018 and go on sale as the 2019 model. However, Hyundai has a tight schedule with many new SUVs promised to arrive by 2020 and also replaced its CEO. As the result, the pickup truck has got a new launch date and the model should arrive in 2020. 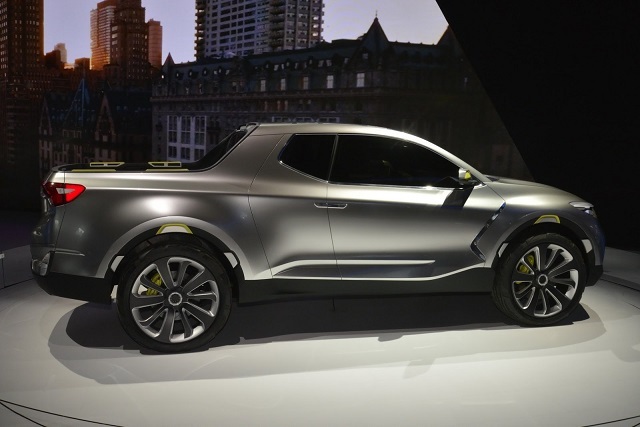 So, the new rival of another unibody truck, the Honda Ridgeline, could hit the market as the 2020 Hyundai Santa Cruz or even debut as the 2021 model. In any case scenario, buyers will have a new alternative for the crossover-like truck and we will also see the fate of VW’s Tanoak Concept. Hyundai hasn’t revealed new details about the 2020 Hyundai Santa Cruz in the meantime. The company should launch the new generation of the popular Tucson crossover for the 2020 model year and the model should share the platform with the new truck. The unibody design is currently present on the Honda Ridgeline only which shares much of its architecture and design with the Pilot SUV. The Tanoak Concept could also join the game as another crossover-based pickup but VW said that the production version hasn’t been planned. Hyundai wasn’t also specific about the styling of the Santa Cruz pickup but the model should share the design language with brand’s recent SUVs. So, it should appear with the trapezoidal grille version similar as on the latest Santa Fe and also adopt the similar arrangement of the lighting units. The production model is also expected with four full-size doors, unlike the concept version. The interior of the model is also unknown affair but the new Santa FE surely gives us some insight of the model’s design. What is sure the Santa Cruz will have five seating positions and offer most of the equipment Hyundai sells with the new Santa FE. The model will have the latest infotainment system with smartphone compatibility and other connectivity features. There will also be a comfort and luxury upgrades in higher trims and the model will also have modern safety systems like adaptive cruise control, lane control, blind spot monitoring, etc. The 2020 Hyundai Santa Cruz will provide greater flexibility for loading and towing than the SUV models while should closely match the ride comfort. The model could come with the diesel engine under the hood. The concept model debuted with the four-cylinder turbodiesel mill with 190 hp and 300 pound-feet of torque. The new diesel unit form the Santa FE could also be the solution. A 2.2-liter four-cylinder turbodiesel from the Santa FE makes the same 190 hp while provides 322 pound-feet of torque. The 2.0-liter turbo-four petrol with around 240 hp and torque of 260 lb-ft could also be among the options. The 8-speed automatic transmission should also be the part of the equipment list as well as the capable four-wheel drive system. So, the 2020 Hyundai Santa Cruz should hit the showrooms sometime in 2020. The truck has a potential of selling around 50, 000 unit according to Hyundai’s internal study. And for the price, it should be competitive with the Honda Ridgeline and have the starting position from around mid-20, 000.